A former President, Chief Olusegun Obasanjo, has endorsed the Ogun State governorship candidate of the African Democratic Congress, Prince Gboyega Isiaka, describing him as “good, credible and worthy candidate” to govern the state in 2019. He said this on Saturday when the state ADC leadership formally presented Isiaka and his running mate, Mrs Olabisi Okeowo-Bolade, to him at the Olusegun Obasanjo Presidential Library, Abeokuta. 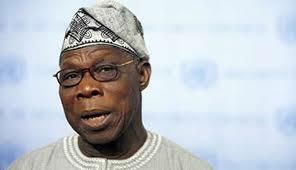 Obasanjo who said he believed in him to succeed Senator Ibikunle Amosun, also seeks support for the aspiration of Ogun West Senatorial District, which had been denied governance of the state since its creation in 1976. The chairman of the ADC in the state, Dr. Gbolade Osinowo, presented the candidates for Senate, House of Representatives and the State House of Assembly of the party to the former president. Obasanjo noted that for the forthcoming governorship election, the Ogun West zone must be allowed to produce the next governor in the spirit of equity, fairness, and justice. He said, “I am happy that today, you are presenting to me a candidate of the party and a candidate who is worthy of being a candidate. What do you expect me to say if not to say this is my son in whom I am well pleased. He is a man who has ears and he listens. When he gets there, he will be grateful. “You don’t have to leave any stone unturned. You may have somebody who is opposed to you. That is normal. But you have no enemy because you need all hands on the deck to do what needs to be done in this state when you become the governor. PattyDearie.com is a one-stop news portal bringing you latest information in entertainment, sports, relationships, health and lots more. Enjoy Great Affordable Prices, Advertise Now! Advertise & Promote Your Business & Events Now!